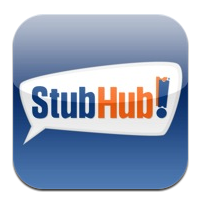 StubHub updated its free iPhone app this week, adding the ability to download tickets directly to your iOS device. The mobile ticketing functionality makes StubHub more than just a service to buy and sell event tickets. The update transforms the application into a tool you can show at the gate instead of a paper ticket. Users can now search for concert and sporting event tickets and download purchased tickets directly to their device, instead of printing out a ticket emailed to them. For entry into events, users will need to scan the barcode displayed by the application. Although the mobile ticketing service is currently limited to the San Francisco Giants, StubHub expects more national teams and events to follow suit.